Scientists tagged over 30 great white sharks last fall — more than they had ever done in a single season. Great white sharks have a “hidden life” that is becoming a lot less hidden thanks to a scientific expedition that has been years in the making. Scientists used to think the apex predators moved up and down the western coast of North America, snacking in waters with lots of food close to shore. Almost 20 years ago, Stanford marine biologist Barbara Block started putting tags on the sharks that could track their movements. She and other researchers noticed something surprising — the tags showed that the sharks were moving away from these food-rich waters and heading more than a thousand miles off the coast of Baja California in Mexico. Satellite images suggested the area was an ocean desert, a place with very little life. The mystery of what was drawing the sharks to this strange place set new research into motion. “We wanted to know if there was a hidden oasis that was formed by the currents that we couldn’t see from space,” Block said. To find out, the scientists tagged over 30 great white sharks last fall — more than they had ever done in a single season. They’ve already gotten to know some of these animals from years of research. They’ve even given them names, such as Eugene, Tilden and Leona. 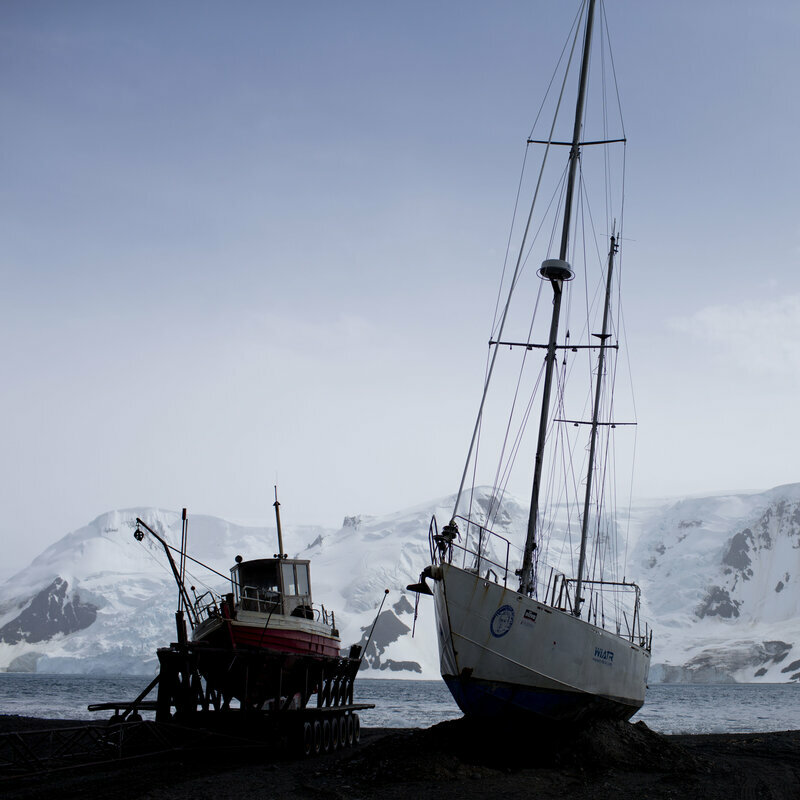 Then this spring, the research team set off on a state-of-the-art ship called the research vessel Falkor toward the mysterious area, hoping to find the sharks they tagged. “There’s a lot of expectation when you put technology on an animal and then you take an expensive ship like the Falkor with 40 people to a box in the middle of the ocean and expect that these white sharks are going to be there,” Block said, speaking from the ship. “Just as we predicted, the sharks showed up right in the cruise box,” Block added. The tags were programmed to pop off and float to the surface right when the Falkor was there. Each tag that reached the surface gave off a signal — and kicked off what Block called an “open-ocean treasure hunt,” as the team tried to find something the size of a small microphone in an area about the size of Colorado. These sophisticated tags record temperature, pressure, light and time. “We doubled our current 20-year data set in three weeks,” Block said. 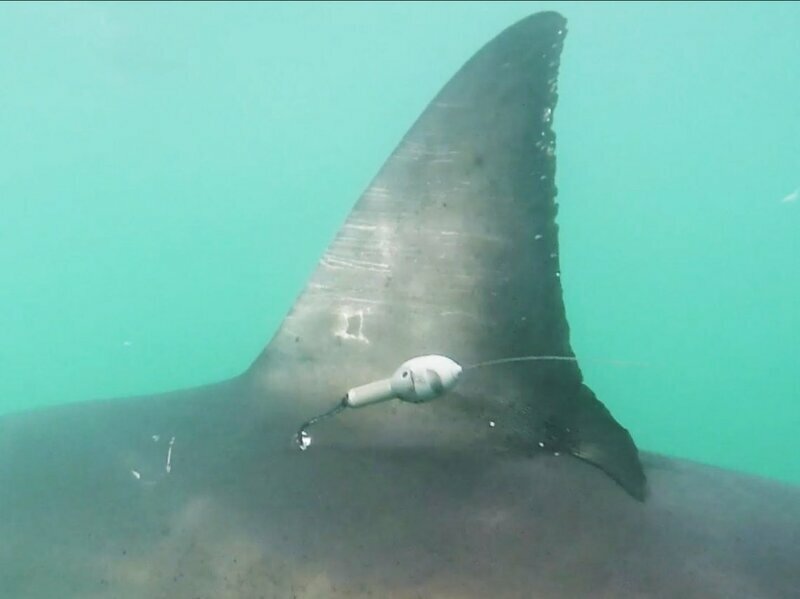 The tags have 2,500 days of data at one- to three-second intervals, allowing researchers to see how the white sharks move up and down through the water with unprecedented detail. In early March, two months before Falkor departed for the same mission, two saildrones were deployed from San Francisco. They have been transmitting data in real time, listening for the acoustic tags that researchers attached to great white sharks and using sonar to detect other creatures deep under the surface. The scientists will need time to parse all of this information, including new mysteries such as why male and female sharks move differently through the water. The males move up and down rapidly — sometimes 120 times a day. Females will go up to the shallow water at night, then down much deeper in the day. And after the tags popped up, the scientists used a range of techniques to learn about the water nearby. 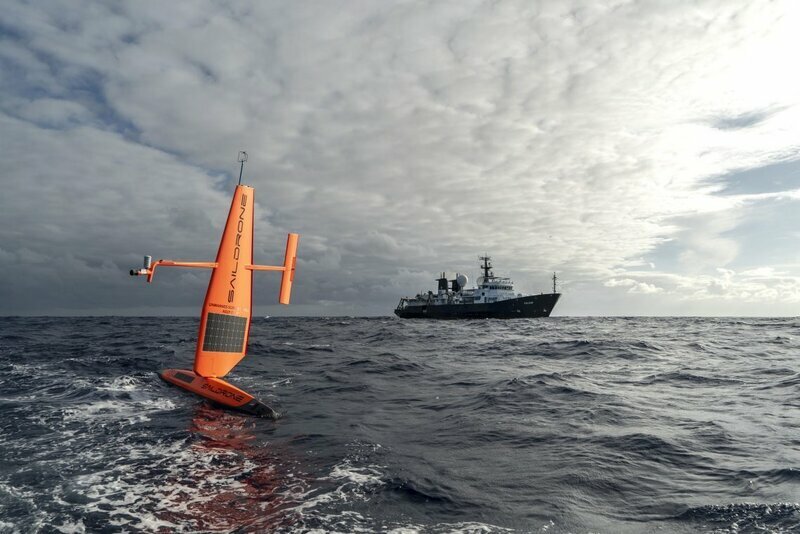 They had a couple of saildrones, which are surface vehicles that can locate plankton and fish. 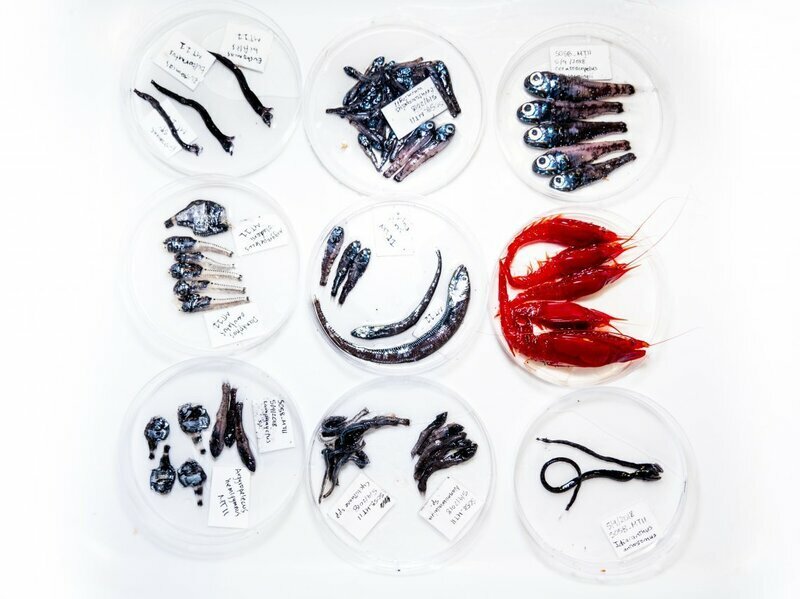 They also gathered DNA from the water to figure out what is moving down there and observed creatures using a remotely operated underwater vehicle and by pulling them up in nets. The scientists found that the “White Shark Cafe,” originally thought to be an ocean desert, actually is home to a diverse food chain. 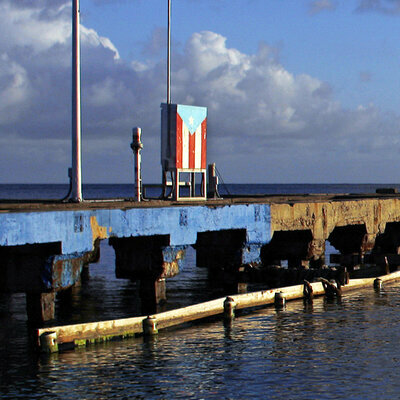 Robison was surprised by how diverse the area was, with animals such as fish, squids, crustaceans and jellyfish. They saw totally different patterns of life in sites just a few miles away from one another, an indication of the area’s complexity. The fact that scientists didn’t even know this area existed until sharks led them there speaks to how much we still don’t know about the ocean. 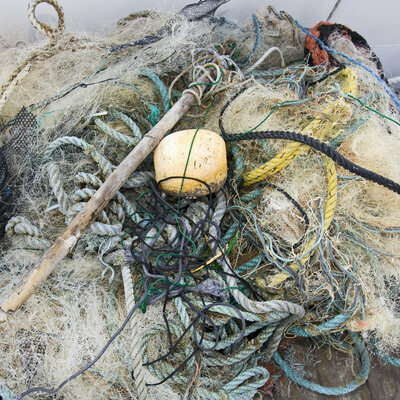 In fact, according to NOAA’s National Ocean Service, humans have explored just 5 percent of it. “People don’t really get is why it’s like that — it’s because it’s really hard to do,” Block said. She added that there could be more ocean hot spots out there that scientists are not yet aware of. And Robison said all the information they gathered could help build a case for why the White Shark Cafe should be officially protected by the U.N. cultural agency. UNESCO is considering recognizing and protecting it by making it a World Heritage Site. Approximately 191 feral horses were found dead at a stock pond on Navajo land in Arizona. 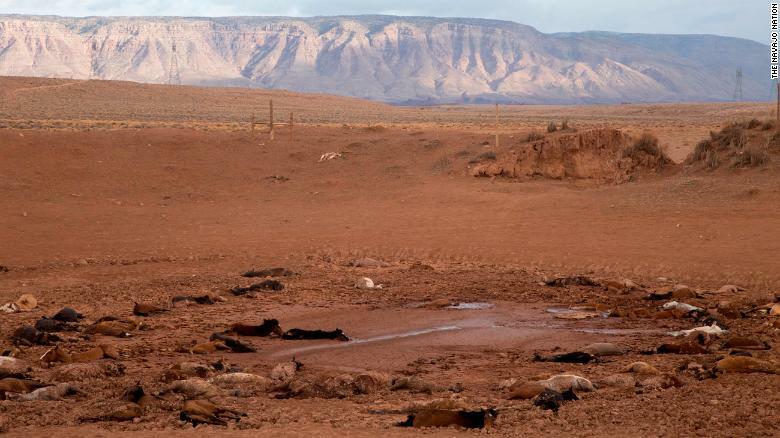 (CNN) Approximately 191 feral horses have been found dead in a stock pond on Navajo land in northern Arizona, according to Navajo leaders, who attributed the death to ongoing drought and famine. The Navajo community in Arizona has had to contend with a growing feral horse population ofabout 50,000 to 70,000, according to the statement. (LIGHTNING FACTS) These Are Some Of The Many Facts VA Doctors At The Veterans Administration Hospitals Ignore And Deny! Lightning has been the second largest storm killer in the U.S. for the last 40 years, exceeded only by floods. A lightning strike can result in a cardiac arrest (heart stopping) at the time of the injury, although some victims may appear to have a delayed death a few days later if they are resuscitated but have suffered irreversible brain damage. According to Storm Data, a National Weather Service publication, the U.S. averages 73 reported lightning fatalities per year. Due to under reporting, the figures are more realistically about 100 deaths per year. Only about 10% of people who are struck by lightning are killed, leaving 90% with various degrees of disability. While about one-third of all injuries occur during work, workers compensation companies are often reluctant to acknowledge the injury or pay related medical expenses. About another third of injuries occur during recreational or sports activities. The last third occurs in diverse situation, including injuries to those inside buildings. How Do Lightning Injuries Affect People? While any death is a blow to a family, eventually the family readjusts and goes on. However, for those who have a relative who suffers significant disability from lightning, life changes forever and the dreams of that family and the survivor may be markedly altered. The family income may be tremendously decreased if the survivor was one of the breadwinners, or the spouse or another family member may have to quit work to care for the survivor if the disability is great enough. While about one-third of all injuries occur during work, workers compensation companies are often reluctant to acknowledge the injury or pay their medical expenses. About another third of injuries occur during recreational or sports activities. The last third occurs in diverse situation, including injuries to those inside buildings. Many injuries in each of these groups can be prevented with proper education, well conceived lightning protection systems that protect the people as well as the equipment being used or �shelters� where the survivor may seek safety, and lightning safety plans for coaches, parents, and referees at sporting events. While lightning safety and injury prevention is an individual responsibility and decision for adults, adults are ALWAYS responsible for the children in their care, particularly if it is an outdoor sports activity such as soccer, t-ball, camping, etc. Unlike high voltage electrical injuries where massive internal tissue damage may occur, lightning seldom causes substantial burns. In fact, most of the burns are caused by other objects (rainwater, sweat, metal coins and necklaces, etc) being heated up and causing the burn rather than caused by the lightning itself. Early on, survivors may complain of intense headaches, tinnitus (ringing in the ears), dizziness, nausea, vomiting and other �post-concussion� types of symptoms. Survivors may also experience difficulty sleeping, sometimes sleeping excessively acutely after the injury but changing during the next few weeks to inability to sleep more than two or three hours at a time. A few may develop persistent seizure-like activity several weeks to months after the injury. Unfortunately, standard EEG�s do not always pick up injury in the areas that lightning most often affects leading to a diagnosis of �pseudo-seizures�. Many may suffer personality changes because of frontal lobe damage and become quite irritable and easy to anger. The person who �wakes up� after the injury often does not have the ability to express what is wrong with them, may not recognize much of it or deny it, becomes embarrassed when they cannot carry on a conversation, work at their previous job, or do the same activities that they used to handle. As a result, many self-isolate, withdrawing from church, friends, family and other activities. Friends, family and co-workers who see the same external person, may not understand why the survivor is so different. Friends soon stop coming by or asking them to participate in activities. Families who are not committed to each other break up. Obviously, depression becomes a big problem for people who have changed so much and lost so much. Suicide is something that almost all severely injured people have thought about at one time or another. Occasionally, those who do not have access to medical care or who do not understand what is happening may self-medicate with alcohol and other drugs, particularly those who have previously sought solace with these compounds. It is very important that the family and friends of the survivor maintain supportive contact even though it requires an adjustment in their relationship with the survivor. An injury such as this is an injury to the family, not just to the person hit. Survivors often complain of easy fatigability, becoming exhausted after only a few hours of work. This may be because every task that they used to automatically do without thinking now requires intense concentration to accomplish. Many return to work but find that they cannot multitask and do all of the activities that are required at their job. A functional test of how a person�s brain is working that is seldom thought of by most non-neurologists is called neuropsychological testing. These tests are administered by a qualified neuropsychologist familiar with the literature in this area, not by a psychiatrist, and consist of a 6-8 hour battery of pen and paper tests including memory, IQ, organizational ability, and other �how the parts of the brain are working� kinds of tests. Survivors of lightning and electrical injury usually have a characteristic pattern of deficits. This type of testing is expensive and not necessary for most but can sometimes be helpful when litigation is involved and there is a doubt about the cause of a person�s injury. Lack of libido and impotence are often reported. Other common and not so common complaints involve the digestive system, the endocrine (hormonal) system, and the immune system, some of which are currently being studied. It is not clear if these are directly due to lightning injury, to medication side effects, or to other incidental causes unrelated to lightning. An organization that has been of tremendous help to survivors, their families, their physicians and other professionals is Lightning Strike and Electric Shock Survivors, International (LSESSI), a support group formed in 1989 by a gentleman who was injured in 1969 who became tired of no one recognizing or knowing what to do for those with lightning injury. LSESSI has printed materials, offers tremendous support, networks survivors with others in their area, and provides an annual meeting where survivors come together for support as well as for lectures from professionals who work with lightning and electrical survivors and their families. LSESSI can be reached at 912-346-4708, [email protected], http://www.lightning-strike.org/index.html, or at P.O. Box 1156, Jacksonville, North Carolina 28541-1156. The person or family becoming their own best advocate and learning as much as they can about their disability. A physician (regardless of specialty) who is willing to listen, read, learn and work with the survivor and their family. Far more important than treating survivors is preventing lightning injury. Lopez RE, Holle RL, Heitkamp TA, Boyson M, Cherington M, Langford K: The Underreporting of Lightning Lnjuries and Deaths in Colorado. Bull Amer Meteor Soc, 74:2171-78, 1993.
Cooper MA, Andrews CJ, Holle RL, Lopez RE: Lightning Injuries, Ch 3, Auerbach P (Ed): Wilderness Medicine, 4th Edition, CV Mosby, 2001. Life After Shock I, Life After Shock II, collections of stories of lightning and electric shock survivors and how it has changed their lives, Lightning Strike and Electric Shock Survivors, Intntl, Morris Publishing, Nebraska,1996/2000. Primeau M, Engelstetter G, Bares K: Behavioral Consequences of Lightning and Electrical Injury, Sem Neurol, 15(3):279-285, 1995. Heilbronner RL, Pliskin NH:Psychological issues in the neurorehabilitation of electrical injuries, NeuroRehabilitation 13:127-32, 1999. A massive Comet Almost Led To Another Ice Age 13,000 Years Ago? A new study suggests that a large comet may have ultimately been responsible for the cooling episode known as the Younger Dryas period. A massive comet is believed to have hit Earth close to 13,000 years ago, resulting in a wave of wildfires that affected about 10 percent of our planet’s land, and eventually causing what nearly turned out to be another ice age, as clouds of dust blocked out the sun and forced temperatures to drop significantly. In a study published this week in the Journal of Geology, the researchers explained how the event in question took place shortly after an actual ice age, as early humans were enjoying warmer weather once again. As explained by Phys.org, fireballs suddenly appeared in the sky as the comet made its impact, resulting in dust covering the sky and fires spreading in various parts of the world. The abrupt change in weather caused by the lack of sunlight killed plants and limited food sources, and with ocean currents shifting and glaciers moving forward again after they had previously retreated, the world was plunged into a thousand years or so of near-ice age conditions in what is now known as the Younger Dryas period. According to study co-author Adrian Melott, professor emeritus of physics and astronomy at the University of Kansas, the scenario is backed up by the discovery of various markers that could point to a 62-mile-wide comet breaking up and crashing to Earth about 12,800 years ago. This caused the aforementioned wildfires that were supposedly more serious than the ones brought on by the “dinosaur-killing” asteroid millions of years prior. 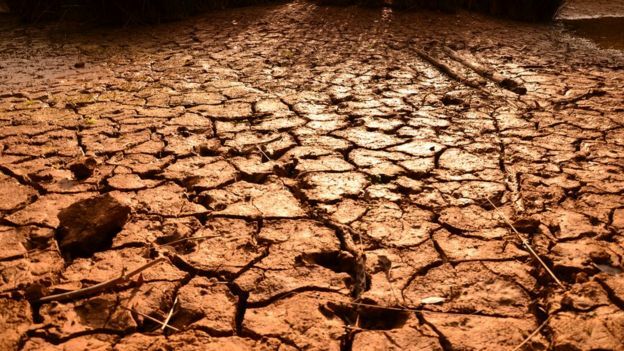 “A number of different chemical signatures – carbon dioxide, nitrate, ammonia, and others – all seem to indicate that an astonishing 10 percent of the Earth’s land surface, or about 10 million square kilometers, was consumed by fires,” Melott explained in a statement. The fires ignited by the comet strike covered around 10% of the Earth’s surface in massive flames. The official website of the National Oceanic and Atmospheric Administration (NOAA) describes the Younger Dryas period as “one of the most well-known examples” of abrupt climate change. It is named after a flower that is known to thrive in cold weather and was believed to have become commonplace in Europe during the cooling episode. The NOAA website added that the Younger Dryas period ended as abruptly as it started, as temperatures rose by as much as 18 degrees Fahrenheit (10 degrees Celsius) in Greenland over a mere 10-year period. While the comet strike is believed to have brought on the near-ice age conditions of the Younger Dryas and depleted the ozone layer to the point that many early humans might have suffered from skin cancer and other illnesses, Melott stressed that his team’s impact hypothesis is just that – a theoretical event. Still, he added that the two papers point to a “massive amount” of proof that some sort of cosmic impact brought about massive changes to our planet’s climate and ecosystems. 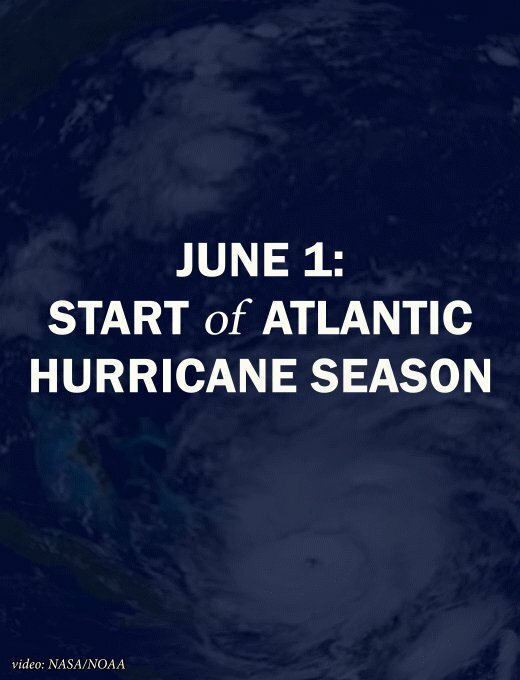 Hurricane season began on June 1, and according to the National Oceanic and Atmospheric Administration, the season will be a busy one, with an above-average range of 5-9 hurricanes likely in the Atlantic. The United States could be especially vulnerable to hurricane landfalls this year, observers say, but not because of the enhanced activity that is expected. 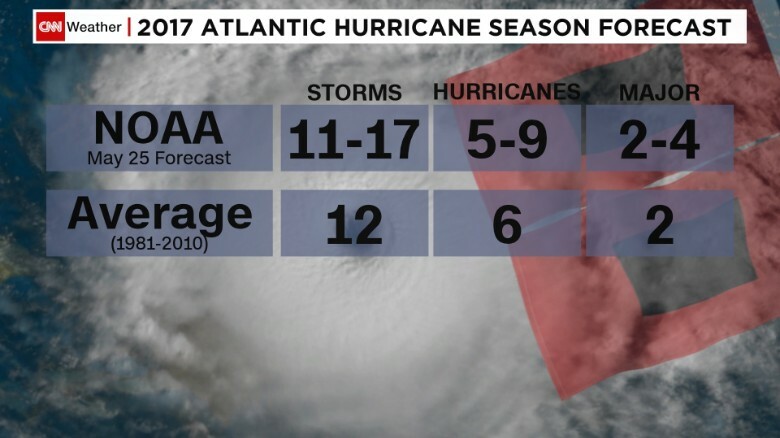 NOAA is forecasting an above-average hurricane season in 2017. The two agencies that protect the country’s coast lines and its residents, NOAA and the Federal Emergency Management Agency (FEMA) are still without leaders — positions that must be appointed by President Donald Trump and confirmed by the Senate. Honoré knows all too well the value that leadership plays during a crisis, as he commanded Joint Task Force Katrina. He coordinated military relief efforts in the aftermath of Hurricane Katrina. 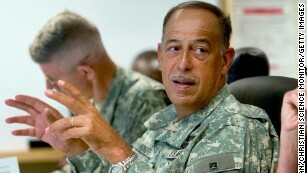 Lt. Gen. Russel L. Honoré talks to his soldiers at Camp Shelby, Mississippi, on September 8, 2005. Despite concerns, FEMA and NOAA say they are prepared for the hurricane season and the aftermath of any storms that make landfall and cause damage. NOAA runs the National Hurricane Center (NHC), the agency that tracks and forecasts tropical storms and hurricanes, providing five-day forecasts to allow government officials plenty of time to make preparations and organize evacuations. Not only is NOAA lacking a leader, but the NHC is also without a director after Rick Knabb stepped down earlier this year after leading the center for five years. The director briefs government leaders as well as the American public directly on the forecast for impending storms. Also under NOAA is the National Weather Service, which is tasked with issuing life-saving warnings for impeding threats from land-falling storms such as strong winds, flooding rainfall and damaging storm surge. While also key in the preparations, FEMA’s role really kicks in once the storm hits and a disaster has been declared, as FEMA coordinates the government-wide relief efforts. 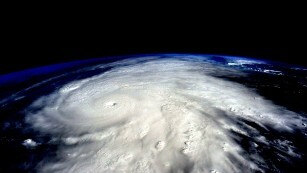 Are we prepared for a major hurricane? “Just look back to Hurricane Katrina to see how important leadership was. If someone is slow in making decisions it can be costly — imagine having no one at all,” Honoré said, referring to the criticism and eventual resignation of then-FEMA director Mike Brown over the bungled response after Katrina hit. Trump did appoint former Alabama Emergency Management Agency Director Brock Long in late April to lead FEMA, but as of this week, the selection has yet to be confirmed by the Senate. Despite the vacancy, FEMA director of public affairs William Booher believes the agency will be able to serve its mission. “Throughout the transition to the new administration, FEMA has ensured that career civilian staff are in place in key positions throughout the agency, allowing them to continue, uninterrupted, to perform their core mission responsibilities — preparing for, responding to, recovering from, and mitigating all hazards, Booher told CNN. Booher stated that the agency is “looking forward to working with the Senate on the confirmation process and a successful vote” for Brock Long. A NOAA spokesman told CNN the National Hurricane Center’s acting director, Ed Rappaport, is an experienced leader with 30 years at the center. 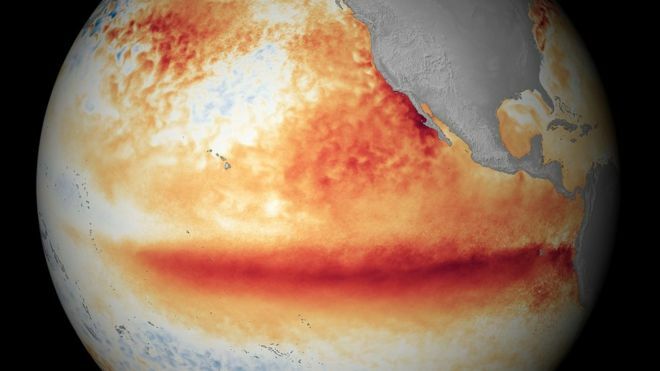 Trump has yet to appoint someone to the NOAA position. While the heads of NOAA and FEMA are not the only vacant positions in the US government waiting on appointments, the prospect of a busy hurricane season make them two of the most important. Chris Mooney and Abby Phillip contributed to this report.